Jakarta, Indonesia, October 9, 2018—Waresix, an Indonesia-based on-demand (SaaS) warehouse service provider, today announced the closing of a US$1.6 million Pre-A series round of financing led by East Ventures and Monk’s Hill Ventures. Also participating in the round are SMDV and Triputra Group. This follows their previous seed round in February 2018 and reflects the company’s rapid traction over the past seven months. Waresix will use the proceeds from the financing to improve warehouse efficiency through technology and data solutions, expand business offerings and hire new staffs. Founded in September 2017, Waresix is dedicated to providing efficient and streamlined warehouse services, connecting businesses and individuals in need of warehouse space with professional warehouse operators. Through the Waresix marketplace, companies can quickly search through a wide range of warehousing options and book a warehouse space in less than 24 hours to meet their business needs. 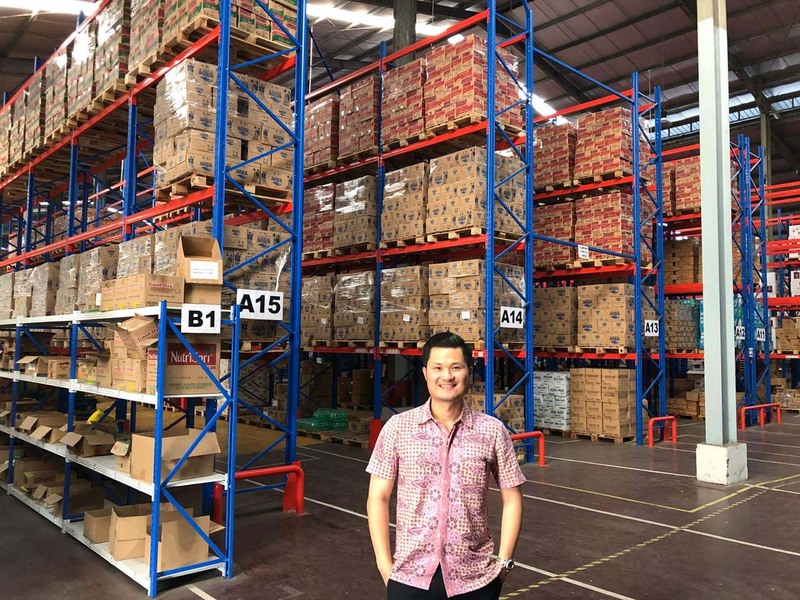 In addition, Waresix also provides cross-border warehousing services for overseas customers looking to not only distribute their product in Indonesia but also provide warehouse space to manage unexpected last-minute situations. As a one-stop service provider, customers can use the Waresix platform to manage their warehouse distribution, inventory, customer orders, and billing cycles. The Waresix team is led by co-founders Andree Susanto (CEO), Filbert (CTO) and Edwin (CFO), three former schoolmates who met as engineering students at UC Berkeley eight years ago. The team aims to tap into Indonesia’s burgeoning logistics market, which is estimated to be worth US$240 billion and growing 14% annually. Of this market, warehouse needs and fulfillment account for 16% of economic activity, equal to a total market size of over US$30 billion. This segment is expected to grow substantially alongside Indonesia’s rapidly growing e-commerce sector. Waresix currently covers 26 cities, including Greater Jakarta, Semarang, Surabaya, Balikpapan, Samarinda, Banjarmasin, Makassar, Pekanbaru and others across the Indonesian archipelago. The company’s marketplace includes over 75 professional warehouse operators that handle general cargo, retail fulfillment, and cold storage. With this round of financing, Waresix will continue to leverage its technology and data capabilities to drive increased efficiency for the overall warehousing industry. The company will develop new products and features for both warehouse customers and providers to better meet their storage needs. Waresix will also bring on new talents to facilitate company growth. “The team is also excited for the contoured support given by our previous investors and welcome the new investors with open arms,” added Edwin, CFO of Waresix.